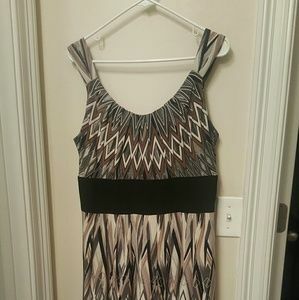 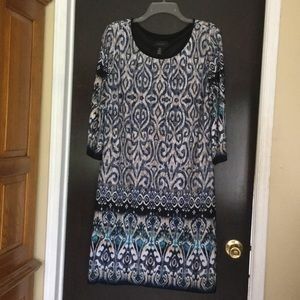 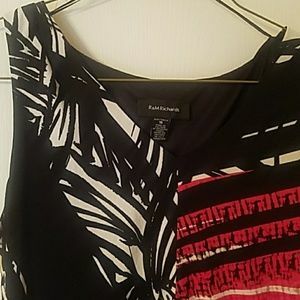 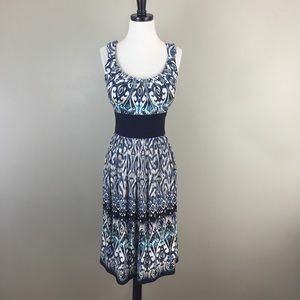 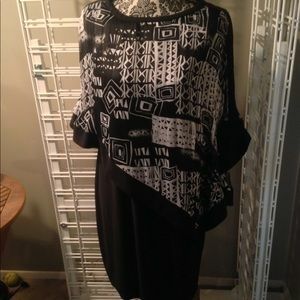 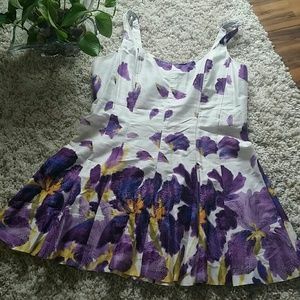 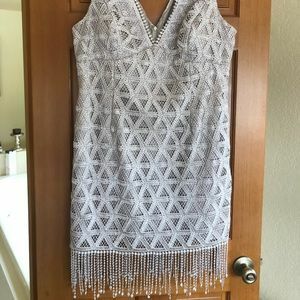 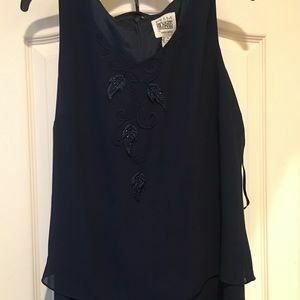 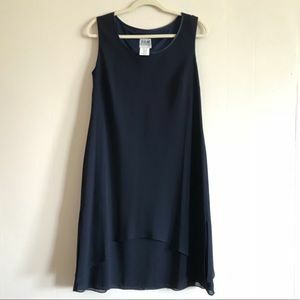 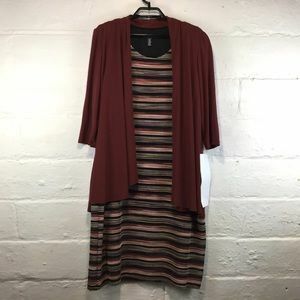 Cocktail dress with bottom fringe. 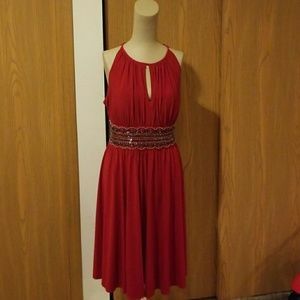 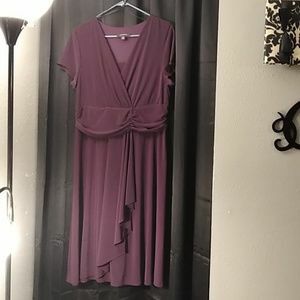 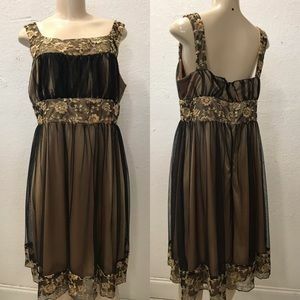 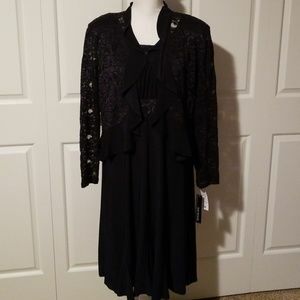 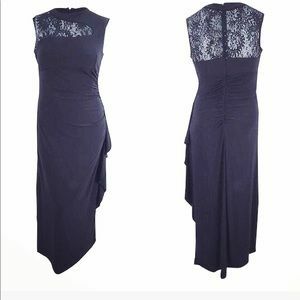 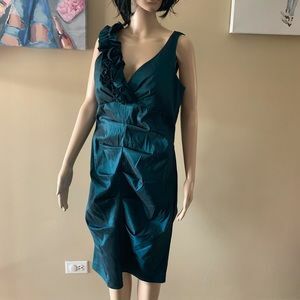 Beautiful mother of the bride dress with jacket. 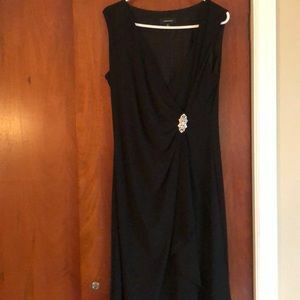 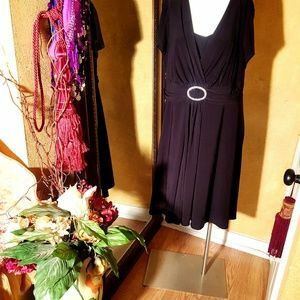 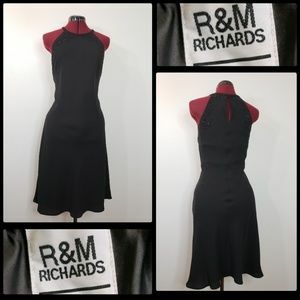 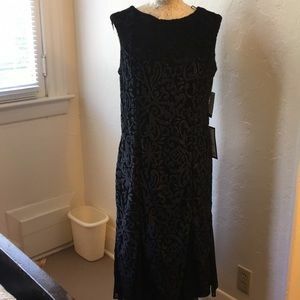 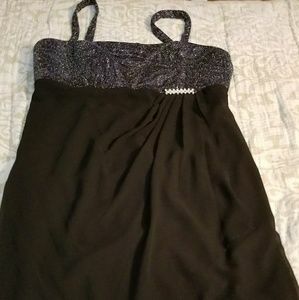 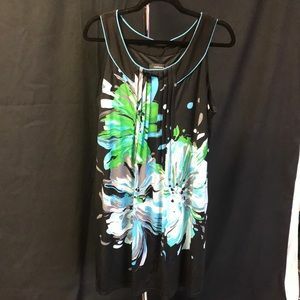 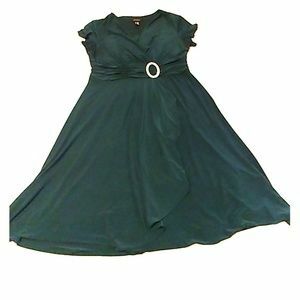 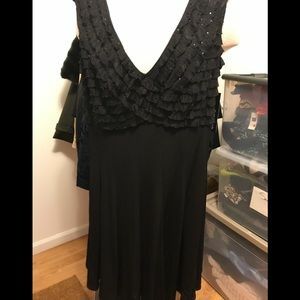 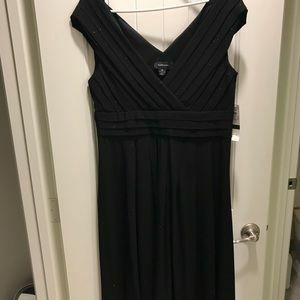 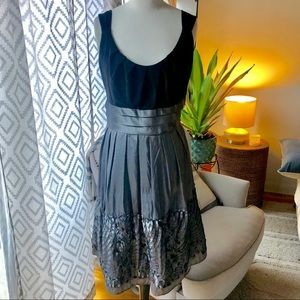 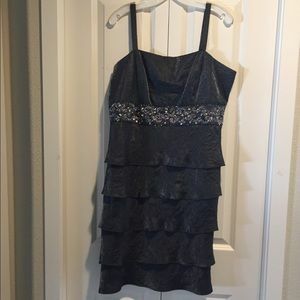 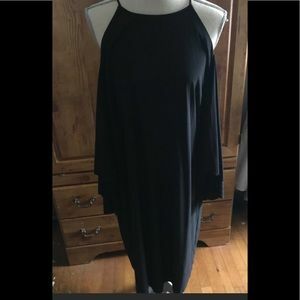 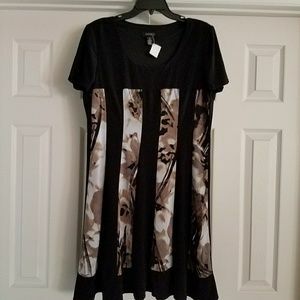 Black cocktail dress with front rhinestone! 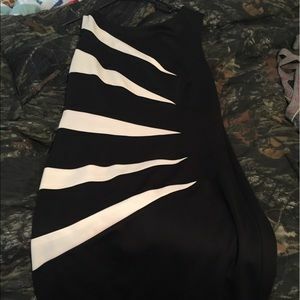 Black and cream dress. 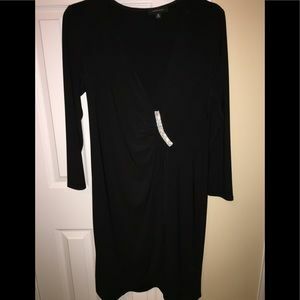 Size 16. Business casual.